I could not be more happy with my stay at the Ace Hotel. I have not been to downtown LA in years... most likely five. Such a long time, and I must say I have become quite smitten with the area during my stay. Aside from the lovely Ace, there are so many cute restaurants, boutiques, coffee shops and more in the area now. Literally night and day from when I used to visit DTLA back in the day. After exploring the neighborhood I of course had to explore the hotel. The aesthetic is simple, yet so unique. There is so much inspiration for future apartment revamps to take back with me in NYC. All in all, anytime I visit LA this is absolutely where I will be staying. Thanks for a wonderful visit, Ace Downtown Los Angeles ! Love that place. The view is spectacular. 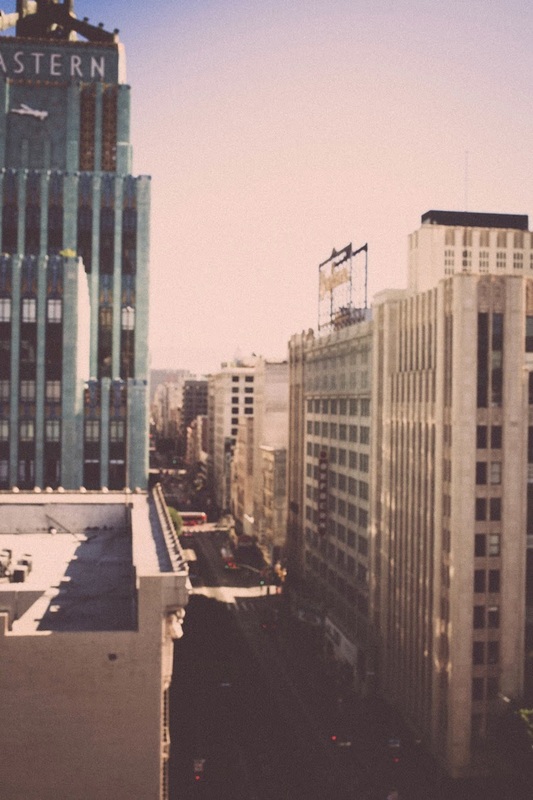 I want to go to LA so badly. I play a game when I read your posts. 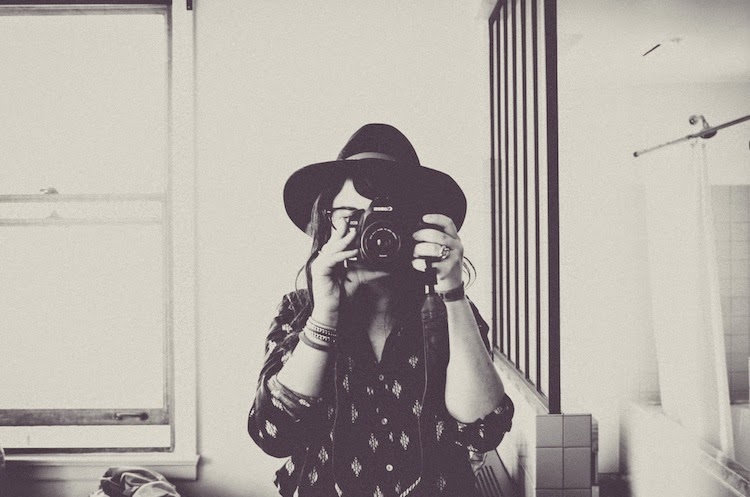 I try and guess what camera/lens/photo app you use for each picture. They are so cute & inspiring! I love how your images all have a vintage look to them. Nice! Looks so lovely! Loving these pictures! Lovely vintage photos-- makes LA look so glamorous! Di tunggu postingan selanjutnya,karena di sini kami sangat tertarik dengan postingan anda . 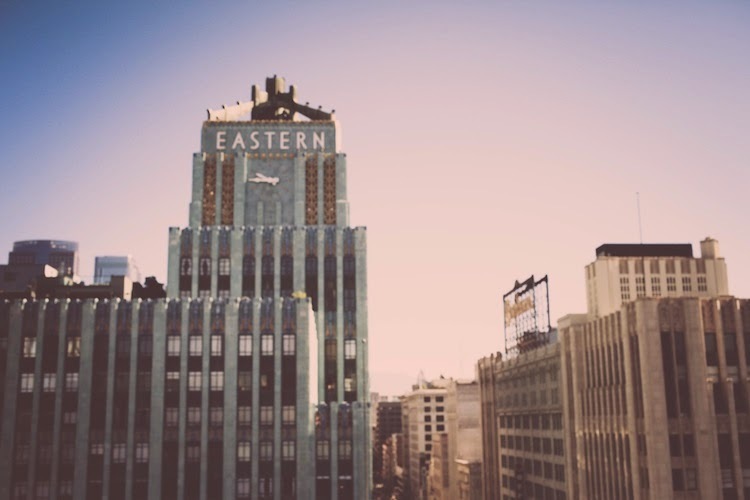 The photos you took in and from your room at the Ace Hotel in downtown Los Angeles are great! 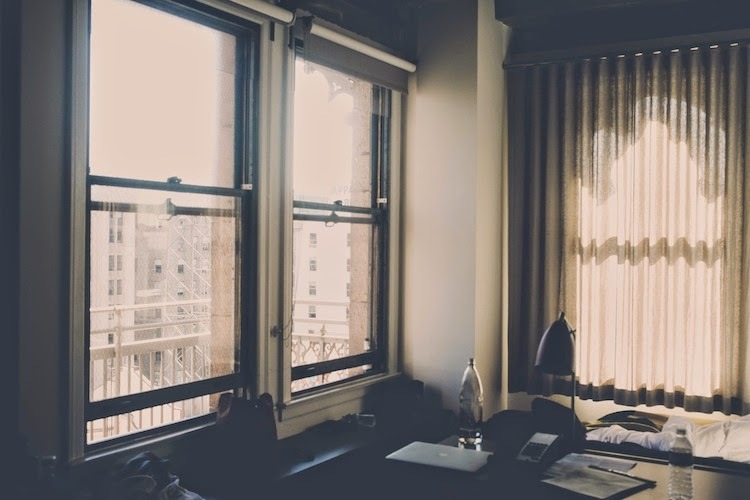 I love all of them - the one of yourself with the camera, the view of the skyscrapers and street from above, the unmade bed with laptop, and the big double-hung windows. It looks and sounds like a great place to stay. let me just say how envious i am of you, in a good way , though. you gave justice to post card-esque pictures and it kinda made me want to go to this hotel, but unfortunately i live miles away, AMAZING PICTURES! Semangat pagi menuju siang ..
Terimaksih banyak atas informasinya..sukses selalu untuk info beserta websitenya. kami sangat senang berkunjung ke website anda pak, beritanya sangat menarik . . . . . . The sight of a cute girl strolling down the aisle will instantly warm the hearts of your wedding mother of bride dresses kitchener. girls are easy to shop for because they look adorable in anything. However, you should choose a girl dress that your family will adore. Here are some creative ideas for choosing colorful girl http://www.clavonna.com lula com dress reviews that any family would cherish.